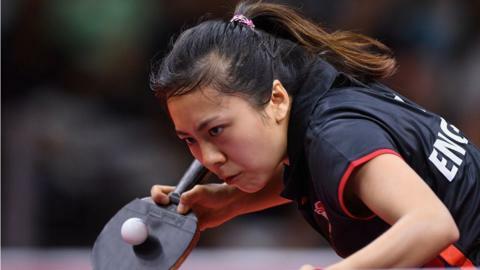 Britain's Commonwealth table tennis medallist Tin-Tin Ho becomes the European Under-21 doubles champion. Commonwealth Games gold medallists Liam Pitchford and Paul Drinkhall are in England's six-strong squad for April's World Championships in Budapest. In the latest in a series of pieces, Scottish table tennis player Gavin Rumgay lifts the lid on Barry Hearn's World Championship of Ping Pong, which starts on Friday. Former international Jimmy O'Hara plays every week at his club in Ballymena. What is the difference between table tennis and ping pong? Read more on What is the difference between table tennis and ping pong? Cheap, easy to play and a great way to stay active with free tables in some UK cities - here's how you can get into table tennis.